An interactive Versal gadget which utilizes Leap Motion to teach students the American Sign Language alphabet. 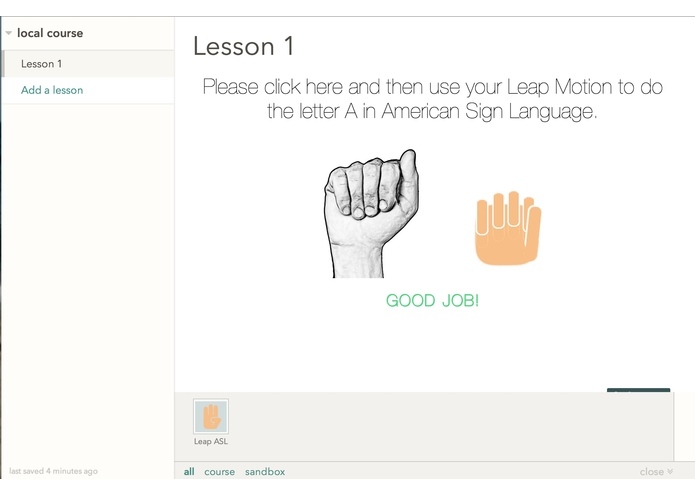 We created an interactive Versal gadget which integrates with the Leap Motion controller to teach students how to sign the American Sign Language alphabet. 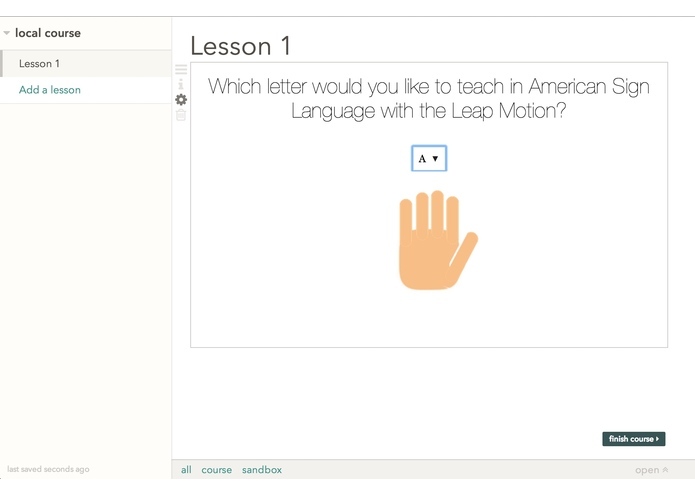 The Leap Motion analyzes the students' hand placement and, when correct position of all five fingers is detected for a specific letter, will provide positive feedback. As an author of the gadget application, you can edit the question prompt and select which letter he or she would like to teach. As a learner, or in other words--a student, you can answer the question by imitating the given image (a correct model of the selected letter in American Sign Language) until you receive correct placement of all 5 fingers and receive positive feedback.